According to Qassemi, the designation came at the recommendation of Foreign Minister Mohammad Javad Zarif and upon the approval of President Hassan Rouhani. “Currently, Mr Takht- Ravanchi is serving as deputy chief of staff of the Iranian president for political affairs,” said Qassemi. 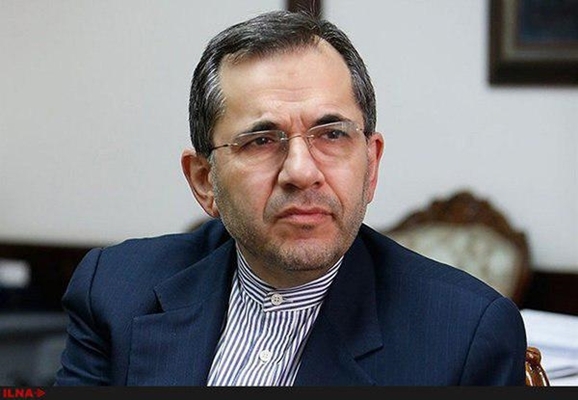 “During his years of service at the Foreign Ministry, he has served in capacities such as Iran’s ambassador and deputy permanent representative to the UN, Iran’s ambassador to Bern, deputy foreign minister for European and American affairs, and special assistant to the foreign minister,” said the spokesman. Dr Takht-Ravanchi was also a senior member of Iran’s negotiating team during sensitive and important nuclear talks, which finally led to the conclusion of the Iran nuclear deal known as the Joint Comprehensive Plan of Action (JCPOA).